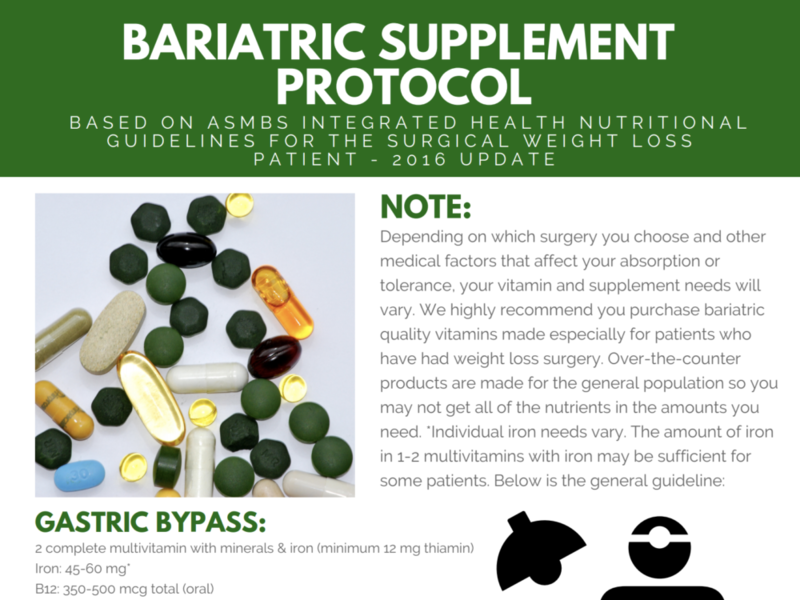 After bariatric surgery you eat less because of the smaller stomach so you may not get enough vitamins and minerals from diet alone. Gastric Bypass and BPD Switch absorb nutrients differently after surgery. 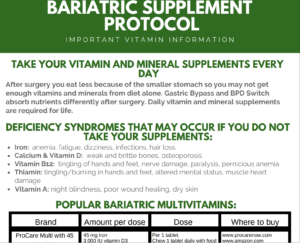 Daily vitamin and mineral supplements are required for life. 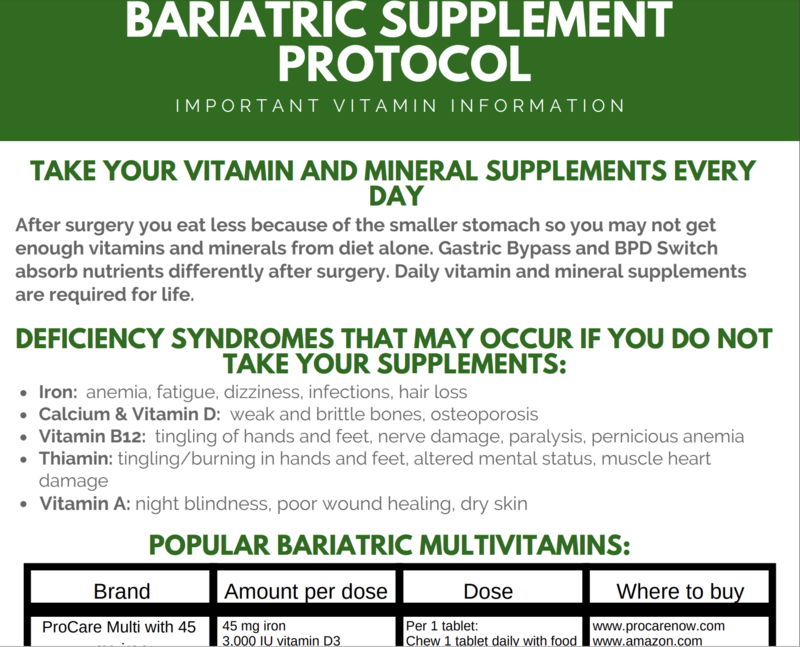 This is a 3-page guide that can be used as a reference or patient handout.